Content Studio - Like iTunes on Steroids! 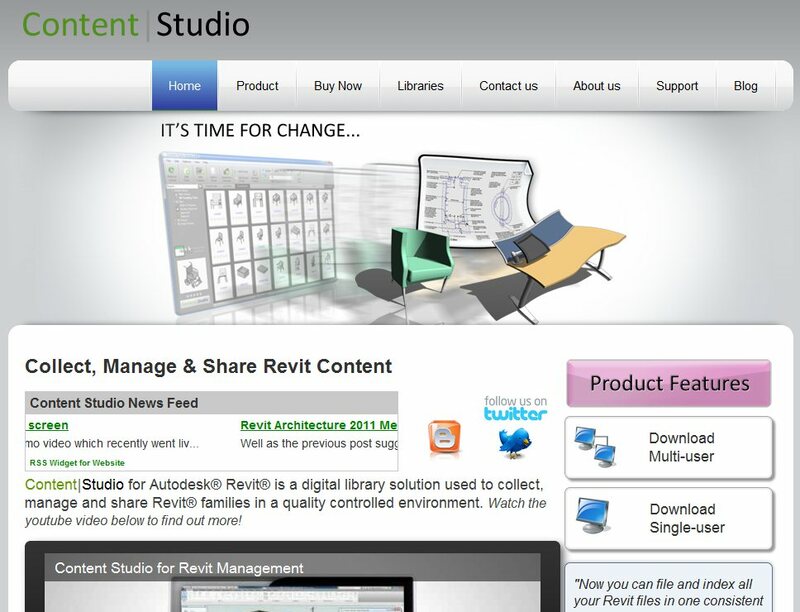 If you haven't seen it yet, take a look at Content Studio for Revit which was released last year as a networked library edition. In the last few days a single-user edition has also been released. Instead of Genre, Artist, Album etc. you now get for instance; Category, Version, Author etc. which means you don't have to worry about which folder your files are stored in anymore, just add it all in there! You can search and filter by fields to find what you want in a single library with no folders and no fuss (all the usual search tools really). 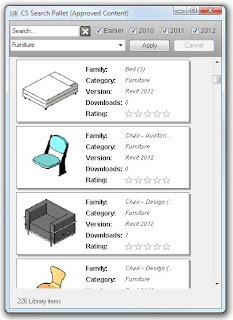 The Single-user edition has recently been released for those who don't necessarily need a networked (shared) company library of Revit families (or want permission based quality control features). I could go on here but there's a short 2 minute video on the www.cs4revit.co.uk home page which summaries the product much quicker than I can. You can also view it below on YouTube. The application indexes any families you add into it including Type parameters and Type Catalogues. 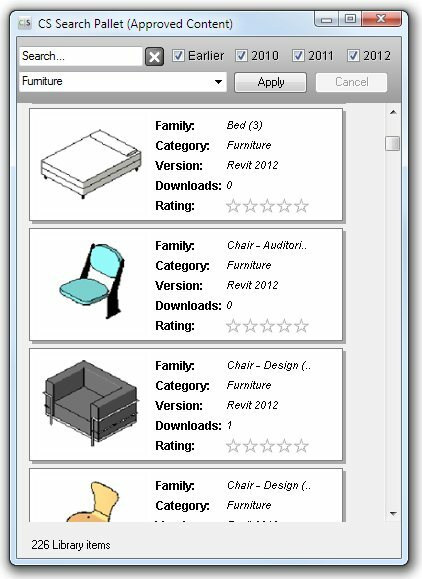 Revit families are added to a work in progress area where you can add more keywords, descriptions etc before submitting the files to the main library. 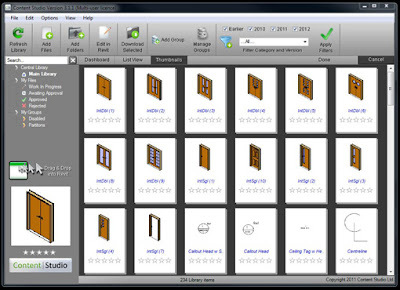 In the Content Studio Multi-user edition, the main library is shared across a network and sits on the companies own file server. 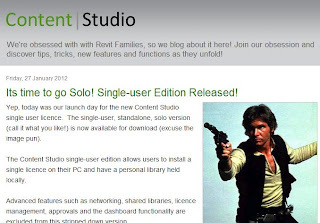 In the Content Studio Single-user edition, the library is stored locally in your documents. The software is a standalone app but it also comes with a plug-in to integrate it with Revit 2011 and 2012. There's a slick search pallet which is accessed from within Revit to make searching and using content extremely quick. The software takes less than a few minutes to install and register. The next task is to add some content into the library. You can do this from your desktop, from projects, from the family editor, or if your feeling lazy there is an import tool. There are some pre-indexed libraries being built on the Content Studio website which allow you to get up and running with the software even quicker (although only Revit Architecture Metric is available at the moment). A free trial is available from the Content Studio website for both the single-user and multi-user editions (and the file is around 40mb so doesn't take long to download). Content Studio also has a blog site which contains news about new features and latest activity. Last night was the 12th London Revit User Group meeting held at Arup’s London office. A big thanks to Alan Wooldridge and the other committee members for organising the event. The event consisted of two very interesting speeches covering very different subjects; the first from Paul Morrell (UK Chief Construction Advisor to the UK Government). To me, both statements really hit home with everyone involved in the construction industry. In a world now bombarded with all consuming superfluous data, it really makes sense to cherry pick the right information which is beneficial to the project stakeholders (including end users!). The second speech was by Dr Stephen Hamil from NBS and Drew Wiggett from Ryder Architecture (also linked with BIM Academy). NBS were very open in admitting that this is an evolving process and that the first phase of content would be quite minimalistic, then progressively evolving with feedback from users over time. I look forward to seeing this one develop! If you wish to give them some feedback or input on any of these subjects, they have a linked in group 'The National BIM Library' which you can join here http://www.linkedin.com/groups?gid=4103410 They are actively encouraging input. A big thinks to Carl Colins from Arup for wrapping up the evening and providing superb directions to a pub that didn’t exist: Around 40 of us all wander aimlessly around London until we realised the pub had changed names and it was only a stone’s throw from the Arup office (so no hard feelings Carl). To echo my comments earlier about the ‘all consuming data’, here’s a sneaky shot of a couple of usual suspects having a lovely digital conversation at the bar. Spur of the moment shot guys (I know you weren’t heads down buried in smart phones all night). Never the less, whilst most of us were inside enjoying a nice drink, others found that digital data just too hard to let go of! Eventually batteries ran flat and traditional pub conversation resumed. A great night was had by all and quite a few new faces in attendance also seemed to really enjoy the event. Thanks to LRUG and the venue sponsors for hosting. I'm looking forward to the next one in March. Well after a year of babies, hospitals, operations and time off work I've finally found time to start blogging again! I thought I would kick off the new year with a great little news letter sent through from CADline who are now running free online workshops on Revit training. Their next session is scheduled for 27th January at 11am GMT. The subject is 'Creating Families (Window with Changeable Panel)' presented by Stuart Tanfield. 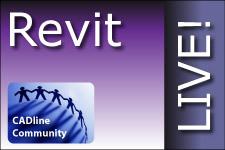 Should be a great insight for anyone learning Revit in 2012!